Situated in Mueng, Tamajun Hotel is the perfect place to experience Chanthaburi and its surroundings. With its location just 2 km from the city center and from the airport, this 3-star hotel attracts numerous travelers each year. With its convenient location, the hotel offers easy access to the city's must-see destinations. King Taksin The Great Park the Great Is a place to relax or work out, with a variety of activities to do, such as feeding fish, sitting under the shade of trees Jogging Or playing a fitness player that has a sufficient amount to use Which is considered a recreation place For those who are unemployed in the evening of Chan Tumri, very popular. 3 religious communities and hundreds of years old commercial districts where most of the houses remain beautiful in the architecture within the community. There are old houses, shops, shops, lodging shops, old-fashioned and modern pastry shops, awarded the Asia-Pacific Heritage Award from UNESCO. 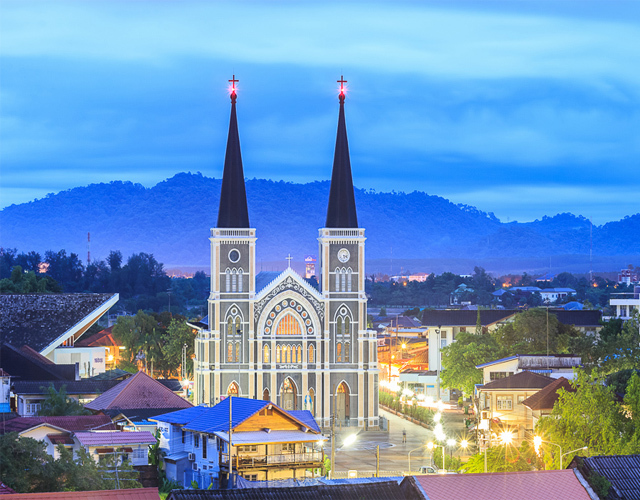 The largest Christian church in Thailand, more than 100 years old, is a Gothic western architecture. Decorated with stained glass, saint-shaped, around the church, within the statue of the Virgin Mary, adorned with gems resulting from donations by the faith of the people. 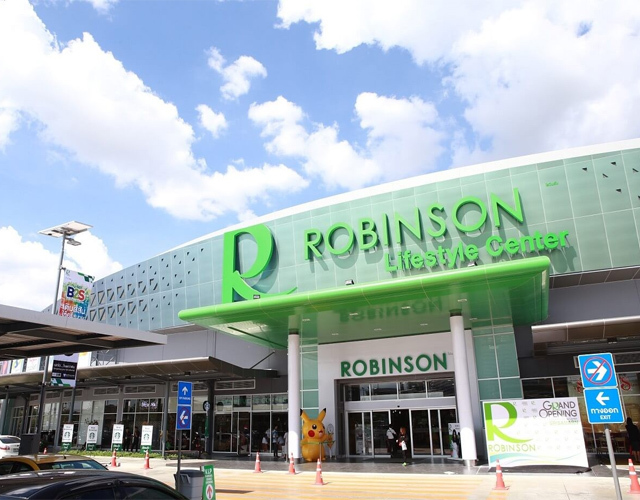 Robinson Chanthaburi Department Store is a shopping center that allows you to shop for discounted products. With many free promotions such as cosmetics, skin care creams, fragrances, etc. 1.4 km from the hotel. 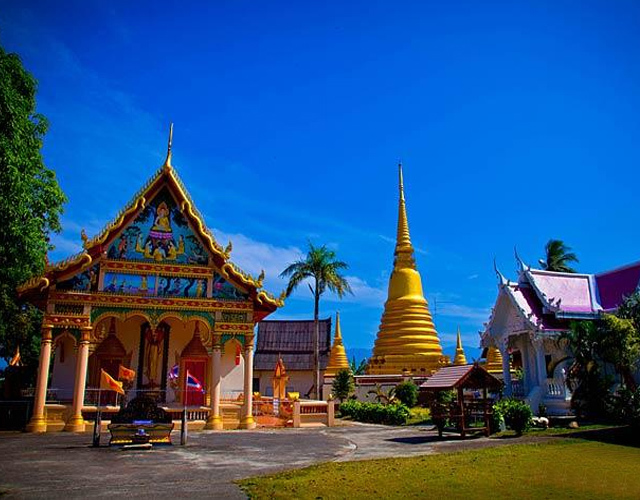 Chanthaburi City Pillar Shrine is a respectable court. 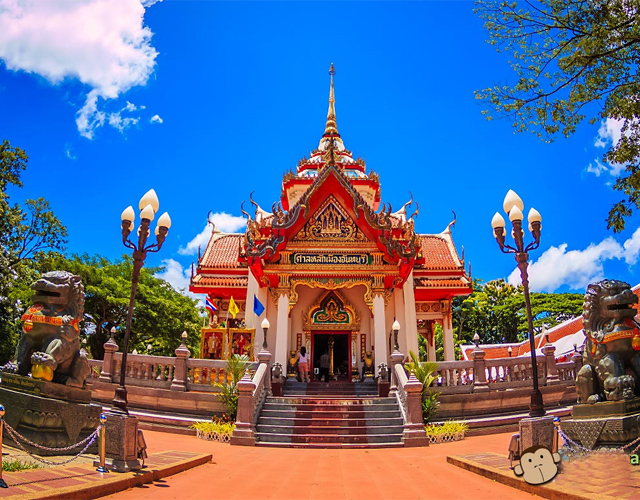 And is sacred in Chanthaburi province That people in Chanthaburi respect Each day, people will pay homage to the gilded blessings. May wish for a fortune. City Pillar Shrine in the city Along Tha Luang Road Which is adjacent to the King Taksin the Great Court If one stop Can pay homage to both points. 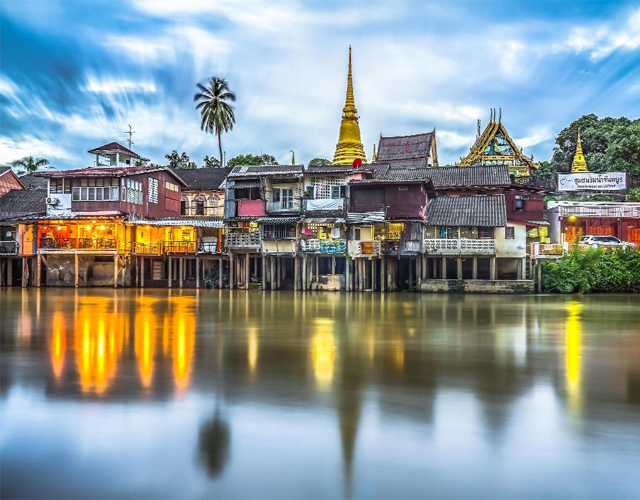 Nong Bua Walking Street is considered one of the most beautiful places in Chanthaburi. There is an old community that still maintains the identity of the community for over 100 years. Travelers visiting here will experience the community lifestyle. Old wooden houses, decorated with beautiful patterns Important in every Saturday - Sunday Visitors will be able to stop by to try and taste the delicious traditional snacks that are hard to find. 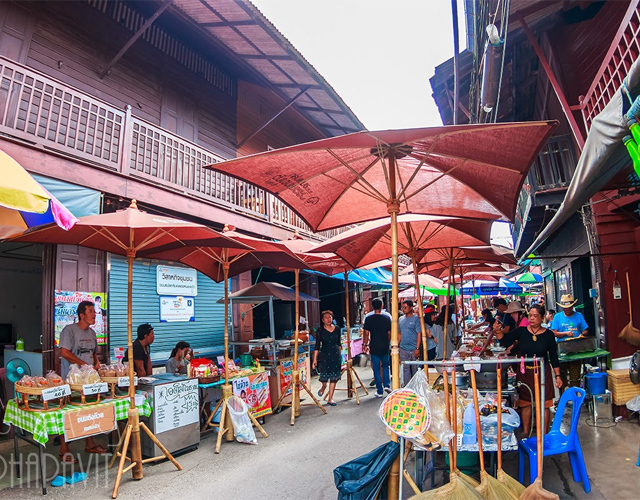 Gems Market or Gems Road is a well-known commercial area in Chanthaburi, the so-called “city of gems.” The name Gems Road is referred to the main street of Si Chan Road and side streets of Soi Krachang, Wat Mai subdistrict, Mueang district. The road is considered one of the province’s most bustling business center because there are more than 120 gold, gems and precious stone shops clustering together. 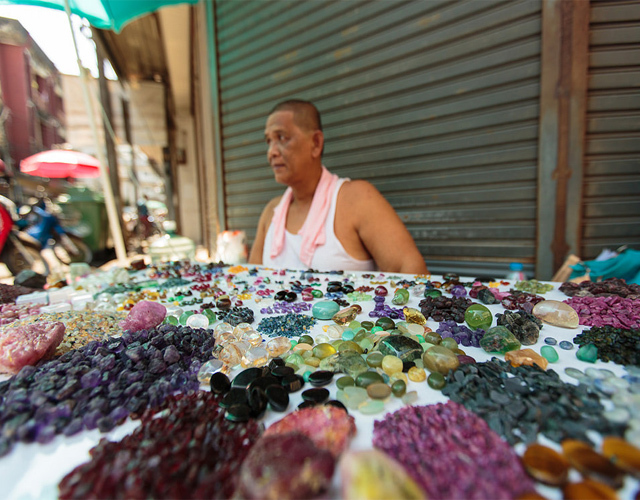 It can be said that this is Thailand’s biggest hub for gems trading. Gems Market operates on Fridays, Saturdays and Sundays from 10.00 am – 15.00 pm. 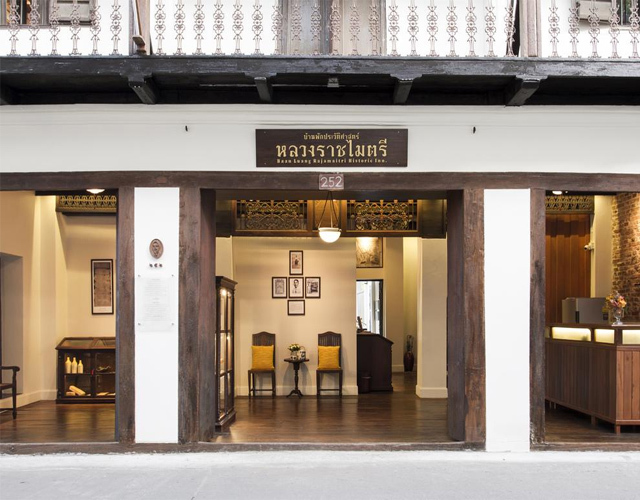 Set in a beautifully restored 150-year-old house in the Chanthaboon old town, Baan Luang Rajamaitri stands as an inn, a museum and an award-winning example of community-driven historical preservation. The beautiful Sino-European style building features original teak floors and support beams along with delicate woodcarvings on balcony railings. The restoration was impressive because it highlights just how fine the original work had been. In the ground-floor museum you’ll find a photo of the house taken before the restoration featured among antique ceramics, 19th-century trade documents and photos of Luang Rajamaitri with his family. This small temple perched on a small hill doesn't have a great architectural interest and if its location suggests that it could provide an interesting view over the river but unfortunately this is not really the case. But still the main building with colorful frescoes and the golden chedis make it a nice little place that you can visit very fast. 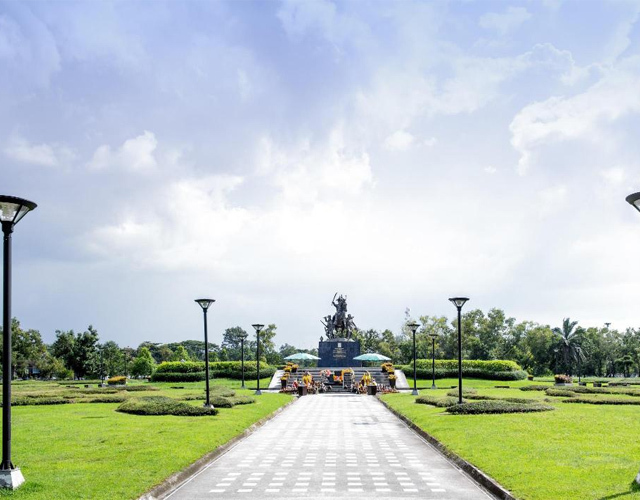 It can also be the starting point before walking in Sukhaphiban Road and discover the Chanthaboon Waterfront and the Old Town.